This simple dessert is a true French classic, dating back to the 1600s. Versions of the dish exist outside of France, such as Catalan creme from Catalonia and the Cambridge burnt cream from the UK. 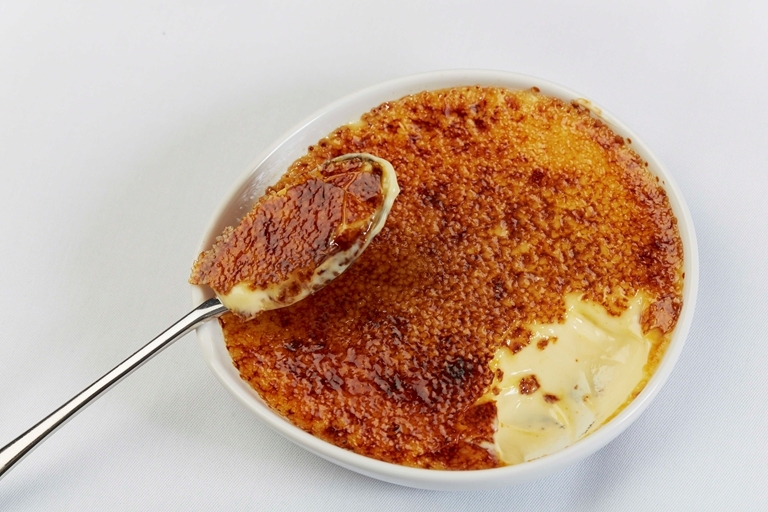 Eric Chavot's classic crème brûlée recipe will help you to achieve the perfect custard wobble and crisp caramel topping. Make the set custard base a day before serving to ensure a perfect finish.